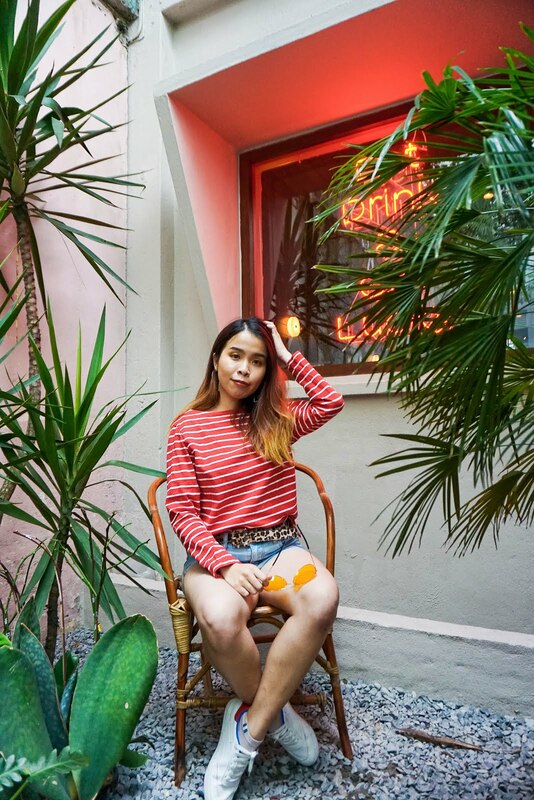 Time for some foodie update! It's been a busy and pack weekend I had for last week. Recently I just have thought of just throw everything aside despite only to have sleep, rest, and doing nothing whole day. But I'm still holding on until the end of December. So just wish me luck so that I can manage my task in my work and my blog too! 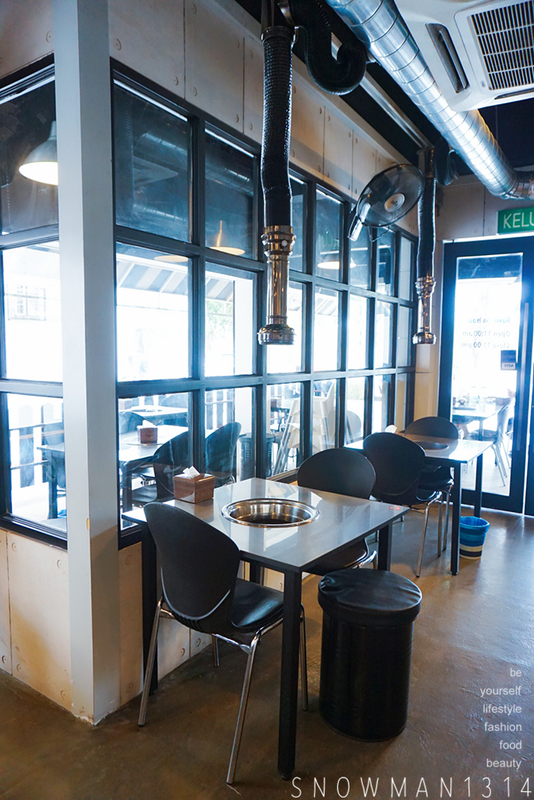 Today will share some yummy Korea BBQ Meal at Damansara Uptown. 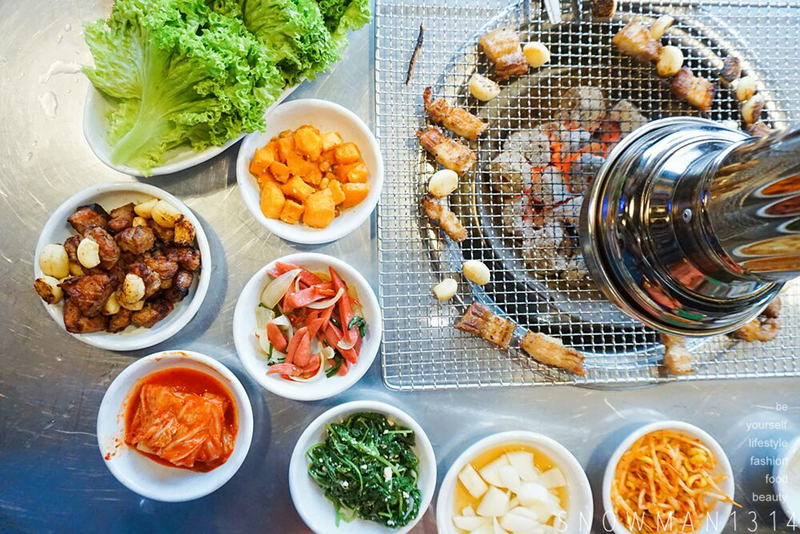 I always a fan of Korea BBQ, definitely need to fix my craving for it once a month. 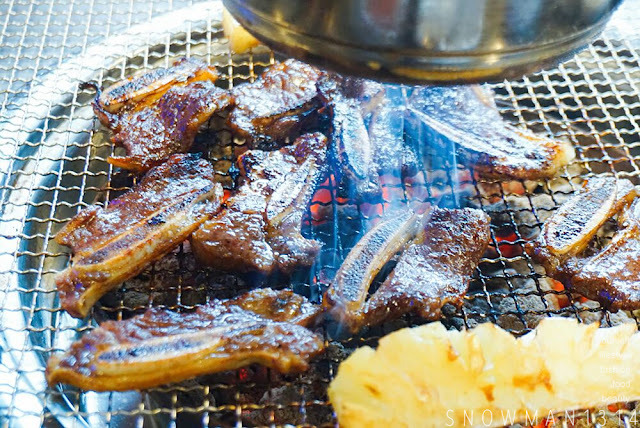 Being able to enjoy special fruit marinated beef BBQ and octopus in BBQ style was definitely a mouth watering journey I had here. 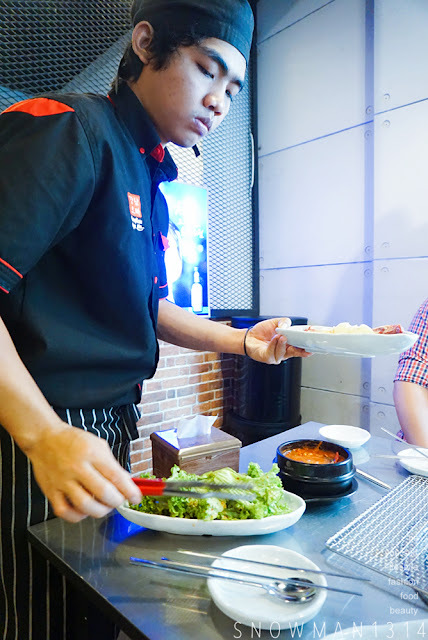 There were total 2 sets serve at Gangnam Oppa BBQ. Family Set that can serve up to 5 to 6 pax with Grilled Beef Short Rib, Marinated Beef, and Pork. 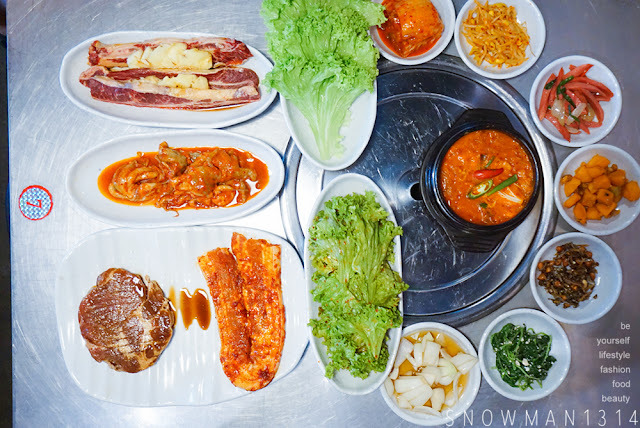 As for the Oppa Set for 2 to 3 pax that only comes in Marinated Beef and Pork. One of their highlight in Gangnam Oppa BBQ set is Marinated Pork and Grilled Beef Short Rib are both marinated with 4 type of fruits. The 4 type of fruits is kiwi, pineapple, apple, and pear. 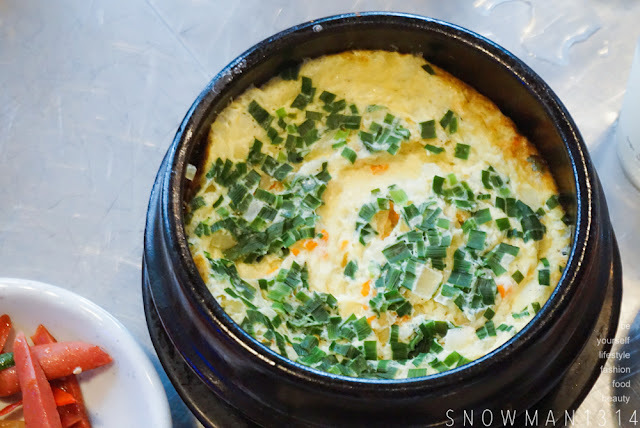 I bet everyone here is the fan of Korea Steam Egg! Because I am, I love how smooth texture and soft the egg when we nom it. At Gangnam Oppa BBQ, you can enjoy a FREE Steam Egg when you check in and review on Gangnam Oppa BBQ FB . This promotion valid until 30/11/2016. Kimchi Stew is served for each of the set. 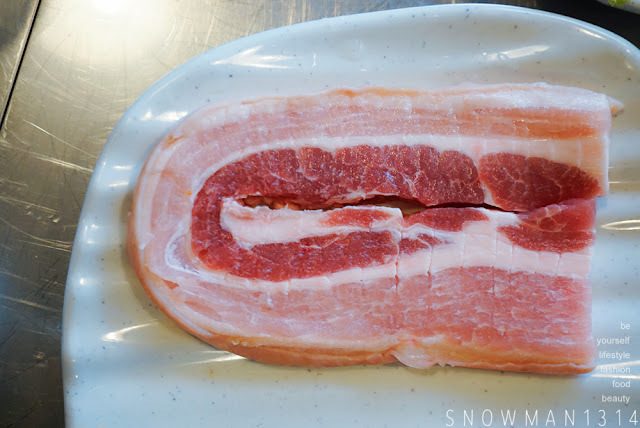 BBQ Meat that is marinated with fruits. Not forget we are served by the helpful waiter during our BBQ Session. 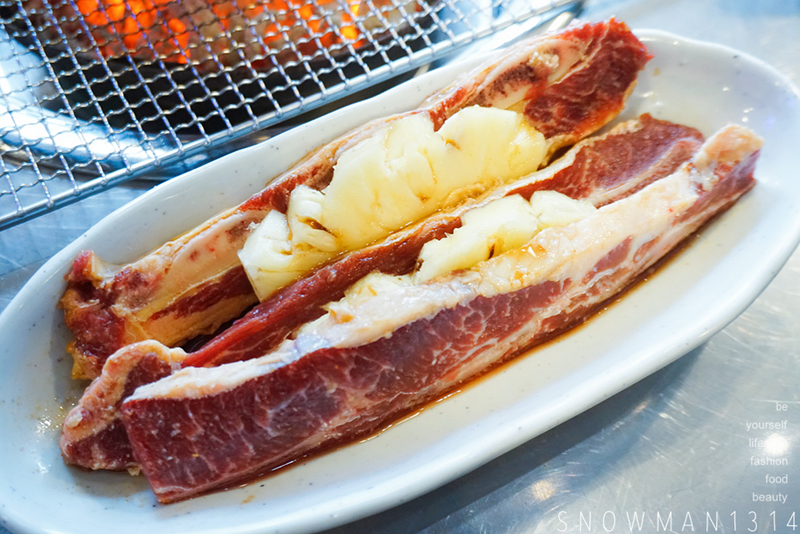 In this November, the Grilled Beef Short Rib is served with pineapple when BBQ! 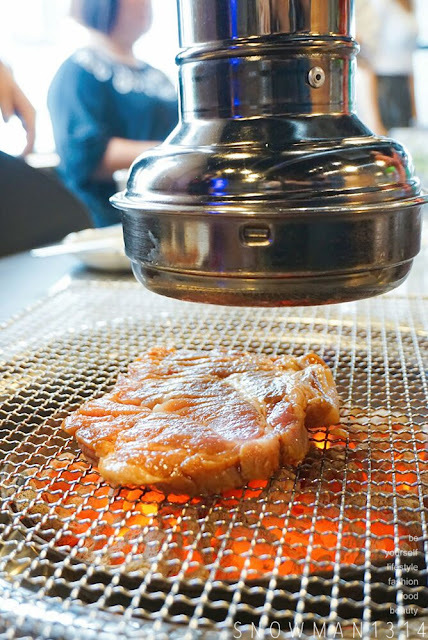 I was totally amazed at this serving, it tastes really good too after BBQ. The pineapple is still very juicy and chewy after bbq. I love how the ribs were marinated with fruits which it was so healthy and the sweetness of the fruits are just perfect. 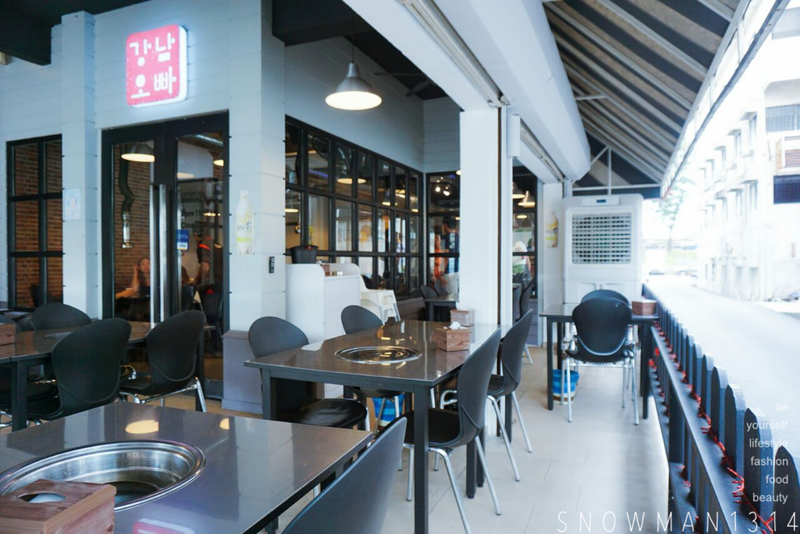 Afraid to eat BBQ at indoor? 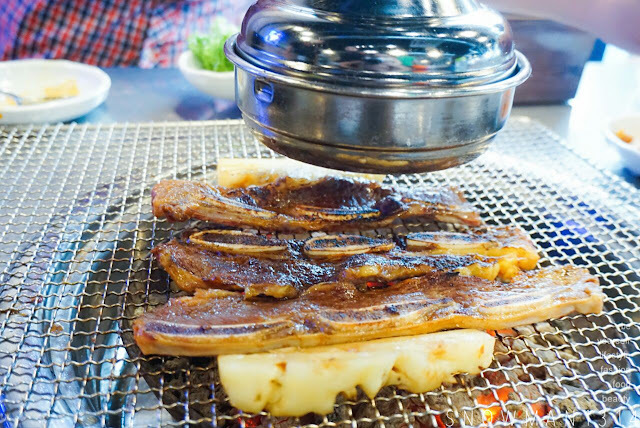 At Gangnam Oppa BBQ, you can enjoy enjoyable BBQ date here without worrying any bbq smell stick on your top. I'm really hungry seeing all this deli food photo. 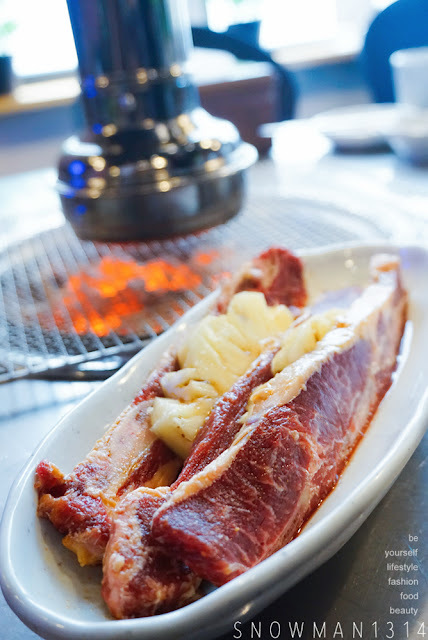 This Grilled Beef Short Rib is definitely one of the highlights you must try at Gangnam Oppa BBQ! I love how tender and juicy the short rib after bbq, the fruits juiciness just absorb into the short rib. 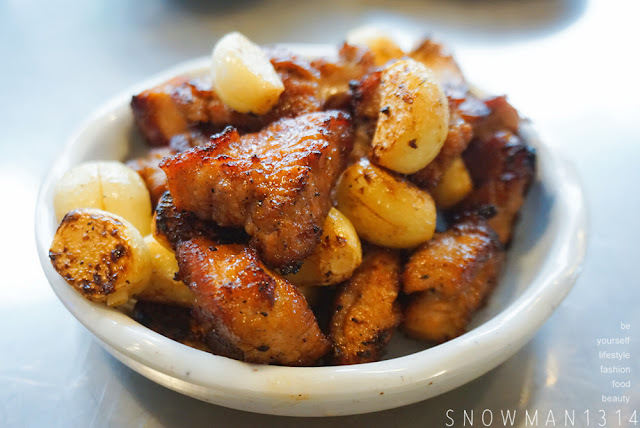 You can choose between Marinated Pork | Pork Belly | Baby Octopus when ordering their Gangnam Family set. 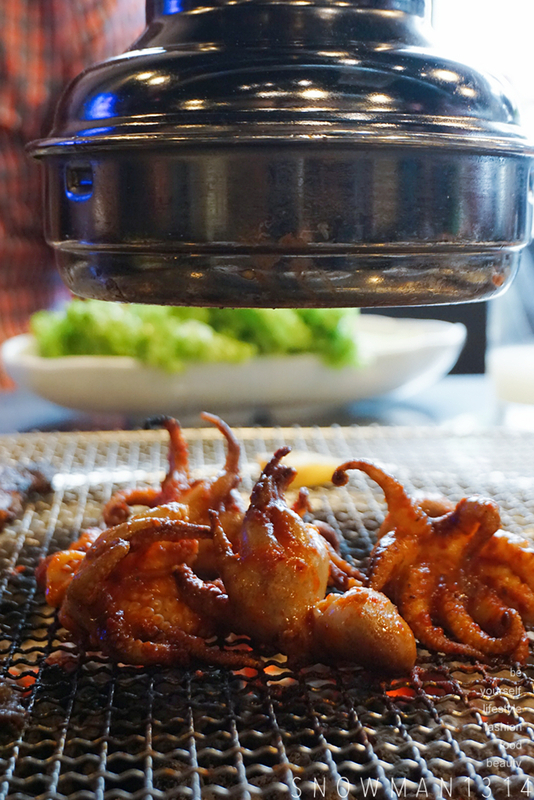 It was my first time trying out BBQ Baby Octopus. 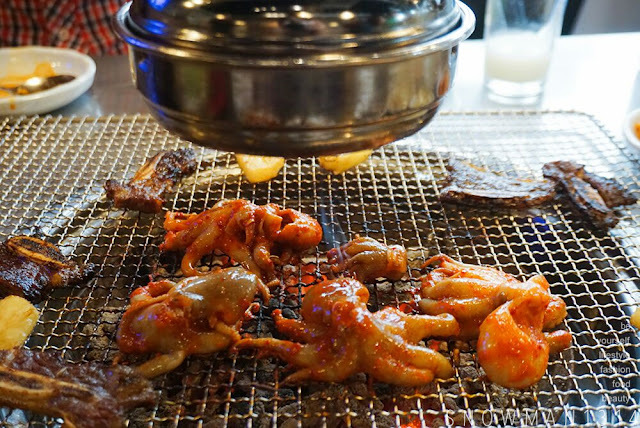 The BBQ Baby Octopus taste so good! I am really addicting trying out this, so chewy and fresh upon you taste it in your mouth. 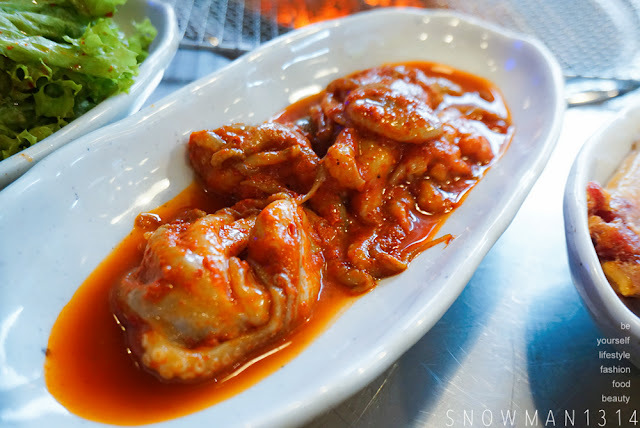 I highly recommend to all of you if have not try BBQ style Baby Octopus before, you should try it here at Gangnam Oppa BBQ. Pork is a must when we are at Korean BBQ restaurant! I'm craving for it right now. A table full with Korean noms. We end our wonderful Korean meal with Spicy Riceball. 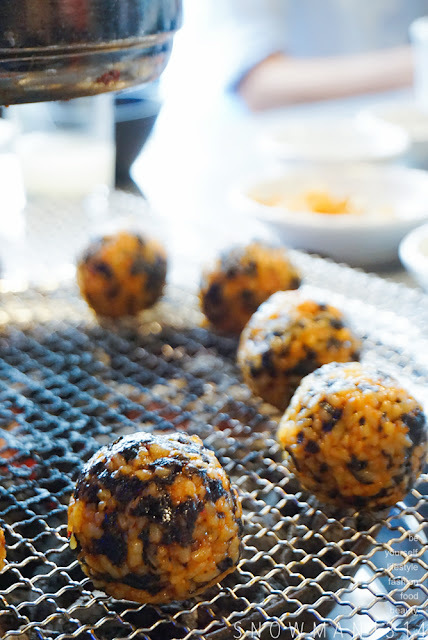 The spicy riceball is not over spicy but gives the right aroma of spiciness when we eat it. 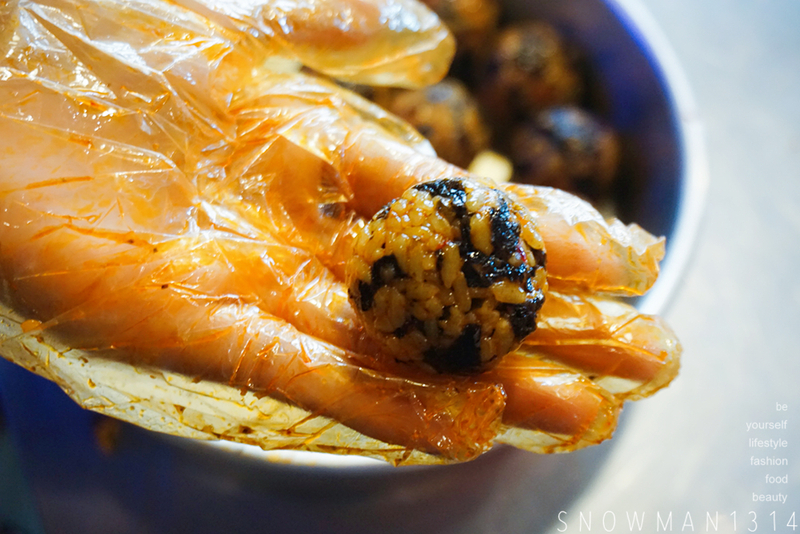 I think I can eat few of this riceball. 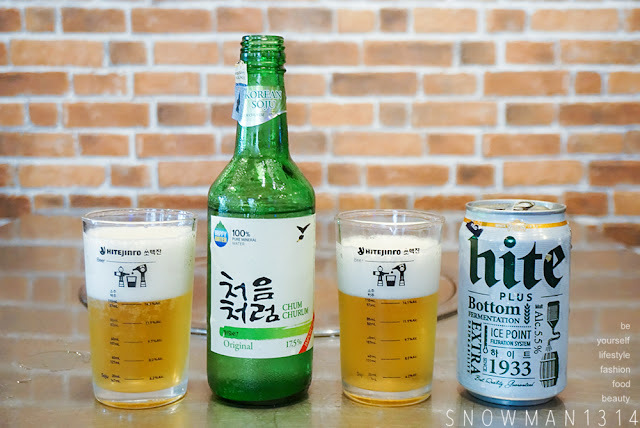 You can't end BBQ Meal without drinking any alcohol! In Gangnam Oppa BBQ, they are having promotion on-going RM 33 for 5 cans of hite beer. Bring along your beer kaki when you are dining here at Gangnam Oppa BBQ. 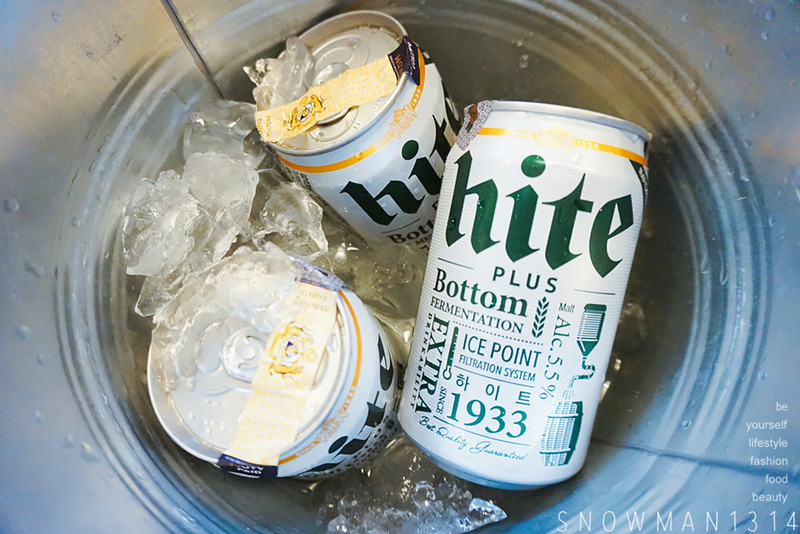 Not only that you can always have a soju mix with hite beer! I even drink one cup all in too. The taste of the beer + soju will be more smoother after mix it. We even enjoy Makgeoli and Rice Wine too at Gangnam Oppa BBQ! Banana Makgeoli was a refreshing taste to try it, the banana tastes really good compared to the original Makgeoli. If you are not keen on the taste of Makgeoli, you can always try Banana flavored makgeoli. I can ensure that you will definitely love this flavor. Interior Design of the cafe. 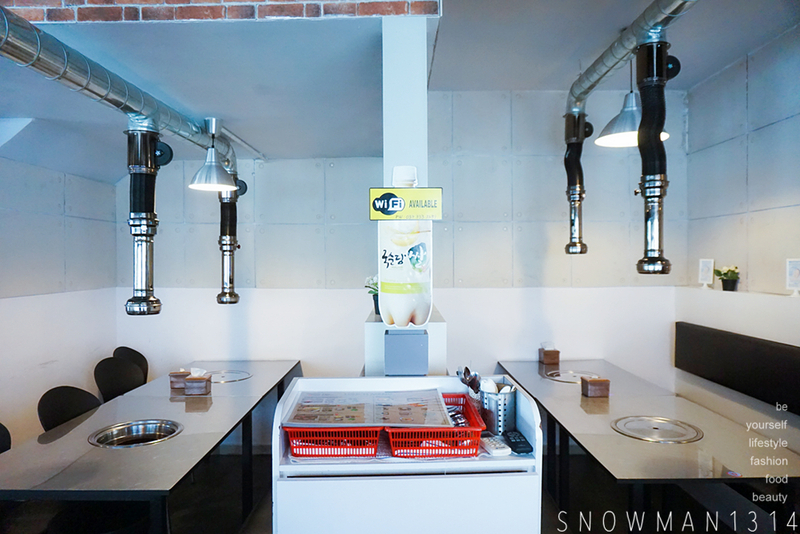 Super cozy, clean, and the best place for an indoor Korean BBQ. 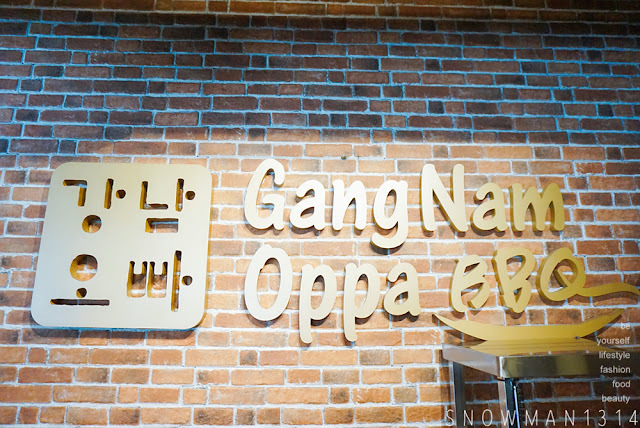 Overall experience at Gangnam Oppa BBQ is really enjoyable. I love all their BBQ serving which are really fresh and delicious. 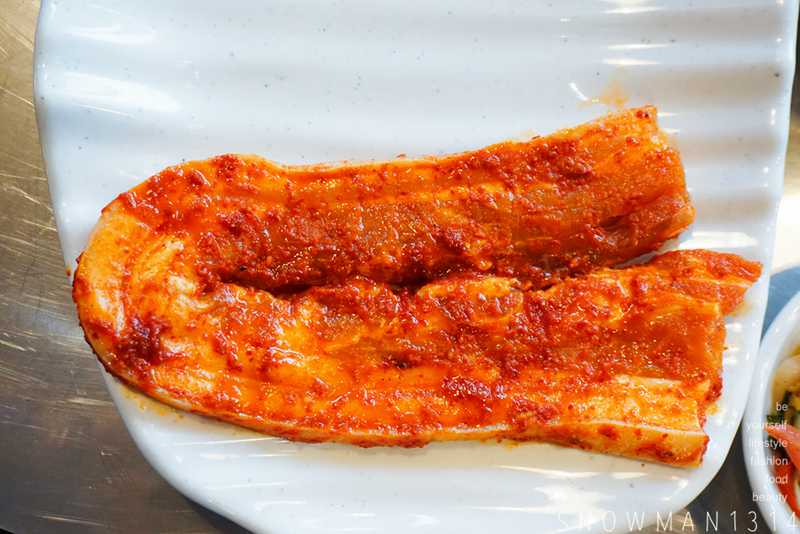 The fruit marinated BBQ was really unique and new to me too. 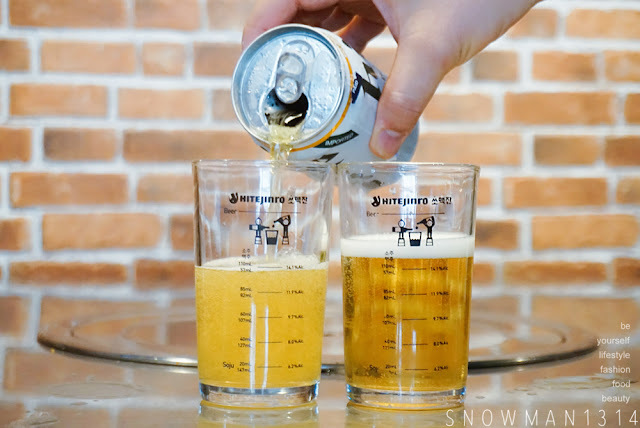 The beer session was even fun too after a delicious meal of BBQ craving. I will definitely be back here soon, especially for the Baby Octopus, Marinated Pork, and Grilled Beef Short Rib! Omg everything looks so yummy! Especially the spicy ball, it's so cute! 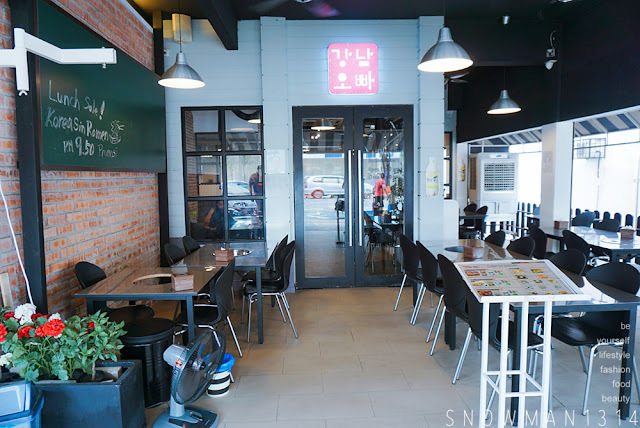 The price is really reasonable too, would check this place out soon! 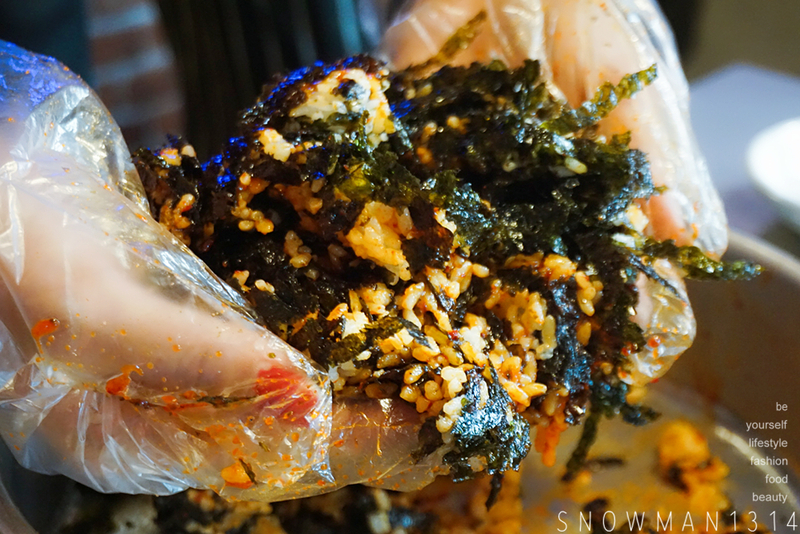 Spicy rice ball looking good. I wish I can eat at this place. OMG this bbq makes me drool so much! Must date my bf go makan one day! Thanks for sharing ya! The cafe layout look spectacular and its meals too. Me too! Veggie and BBQ is the best!! 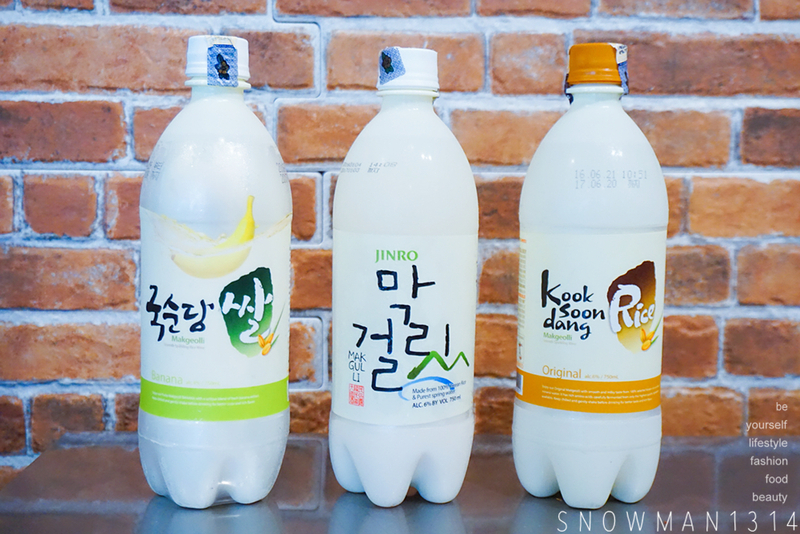 I love the kimchi soup!!! aww~~ feel like going for Korean BBQ now, it's best for raining day! 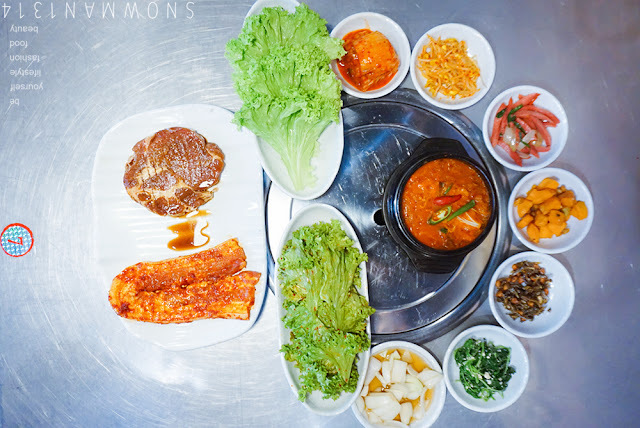 You are making me drool with your food shots even though I am no great fan of Korean food. I don't mind it once in a while, though. Mouth watering dishes mannnn. Did a great job with the pictures! Now I can't wait to try their food! Nice.BBQ. I prefer to go on weekend so could chitchat with friends. and spend whole day there too! 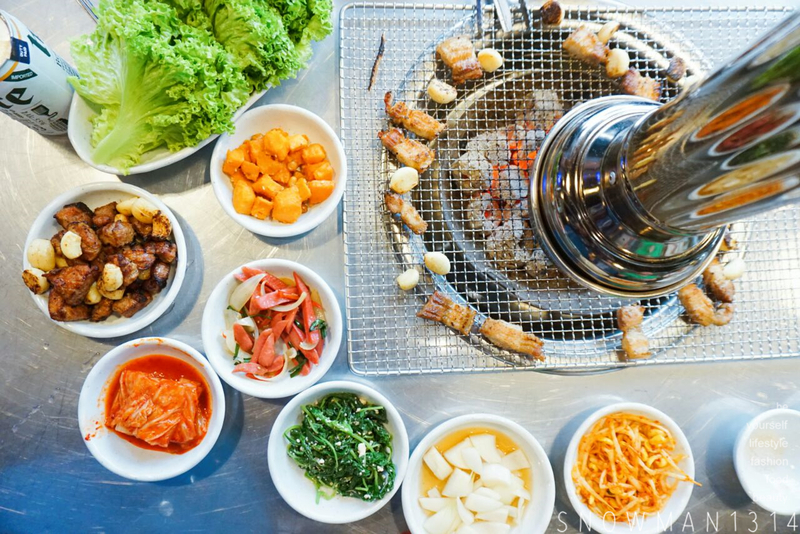 The banchan looks so good, the only mission now is to find a Korean place that I can eat that also have the same bbq concept! 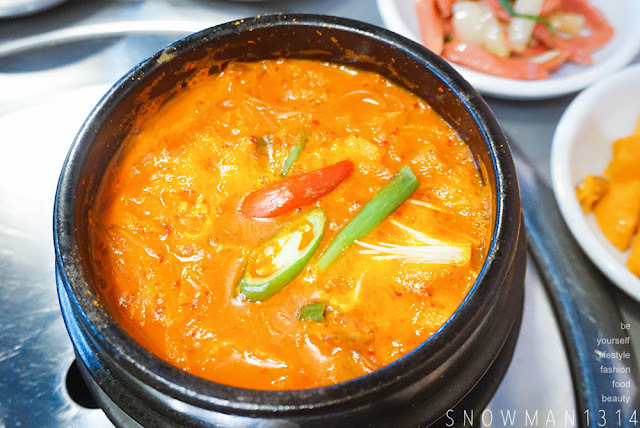 Korean food is my favourite and anything with kimchi stew is super yummy.